What Are the Cheapest Times to Book Airline Flights? New York’s LaGuardia Airport — sometimes saving money just isn’t worth it. Booking airplane flights these days is one of the most confusing and potentially aggravating of all travel activities, which is why a lot of folks just leave it to travel agents. But since I can do it myself online, I do. Just like millions of other passengers — including lots of baby boomers — I like the sense of control. But how much control do we really have? Dotcom sites like kayak, skyscanner, priceline, hotwire, Expedia, Orbitz, CheapoAir, etc. etc. will all give you a range of prices, but they’re only good for that particular time — they can change (often drastically) day by day, hour by hour, even minute by minute. Like many baby boomers, when I was in my 20s I spent a lot of time — sometimes months at a time — riding European trains. On shorter trips, when I would purchase separate tickets from one point to the next, I would always travel second class, and had some memorable experiences meeting the locals — and, from time to time, having to sleep in the corridors because the trains were so packed. Travel seminars were popular at the New York Times Travel Show held Feb. 28-March 2, 2014, at the Javits Center. The keynote panel on travel industry trade day at the New York Times Travel Show in Manhattan this past weekend was made up of travel agents and their representatives, and they had one plea to the public: We haven’t gone away! Apparently a good percentage of the public thinks travel agents have gone the way of the dinosaurs or at least print newsweeklies, on the seriously endangered list. Stark statistics were presented: while use of traditional travel agents for booking trips is up 18 percent over the past three years, only 13 percent of the public uses them to book leisure trips, and only 16 percent use them on the business side. 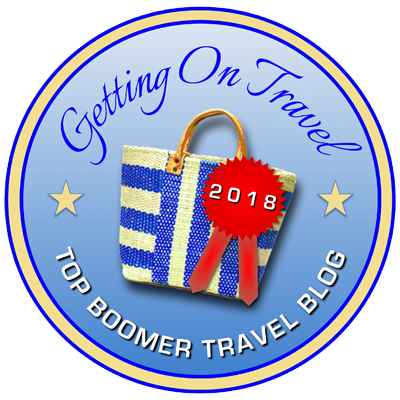 Are Boomer Travelers Happier and Healthier Than Others? In my last post, I reported on the results of a study by the Global Coalition on Aging (GCOA) — a grouping of leading medical, financial and technology companies, among others, who hope to help shape public policy toward aging as 80 million baby boomers in America alone reach the ages of 50, 60 and up — that showed that travel can play a vital role in staying healthy as we grow older. Boomers walking the Irish coast get gorgeous vistas — and health benefits, too. Photo from Walking the World. Can travel keep you healthier as you grow older? Yes, says a new white paper by the Global Coalition on Aging (GCOA), commissioned by the U.S. Travel Association, and purporting to show for the first time a series of direct links between travel and increased good health. While acknowledging that data on these links are somewhat limited, and urging more medical research on the topic, a GCOA survey of various health studies shows that the evidence already out there is compelling. Is Finland’s Tourism Website the World’s Best? Reindeer in Finnish Lapland. Photo from Visit Finland. In my last post, I analyzed the six U.S. tourism websites that the travel site skift.com considers to be among the 20 best-designed such websites in the world. I was particularly impressed with the Oregon and Los Angeles visitor websites. For me, great website design encompasses not just spectacular visuals and clean typography but easy navigability leading to compelling, well-organized content. The other sites (Massachusetts; Washington, DC; Tennessee [Fall season]; and Florida, while all well designed, also contained some flaws. Are These the Best-Designed U.S. Tourism Websites? Santa Monica Beach, an iconic site to visit in Los Angeles. Photo from Discover Los Angeles. I read recently that there are something like 850 million websites in the world, and who knows how many are travel-related, but it must be at least in six figures. So a new list by skift.com (itself one of the best travel websites) of “The 20 Best Designed Tourism Websites in the World” limits itself to official tourism sites of either countries, states, cities or regions — known as destination marketing organizations, or DMOs. That certainly makes it more manageable. Baby boomers take a break while cycling the Dalmatian coast. Photo from Adventure Media News. Do I really want to carry all my gear on a bike? Is it too complicated to make all arrangements for accommodations along the way, especially if I’ve planned too ambitiously and wear myself out? What if my bike breaks down and I can’t fix it? If I go with a bike tour (which will essentially solve the first three problems), can I afford the expense? And what if, in the end, I just can’t tackle the terrain if there are too many hills? So I end up taking the train or driving — not that I don’t love European trains or roadways, but I still don’t get to experience Europe with the same intimacy as on a bike. When it comes to my own bucket list of destinations, Ohio has never been high on my list. Having grown up in the Midwest, I’ve driven through the Buckeye state many times, mainly to get to other places. I spent a weekend in Cincinnati once, found a great breakfast spot near Toledo, and know that Cleveland has a great clinic and improving baseball team, but most of my impressions of Ohio are of flat views from Interstate 80. So when I learned that a spot in Ohio had made Buzzfeed.com’s list of “22 Stunning Under-the-Radar Destinations to Add to Your Bucket List in 2014” — the only place in the U.S. to make the list — I took notice.